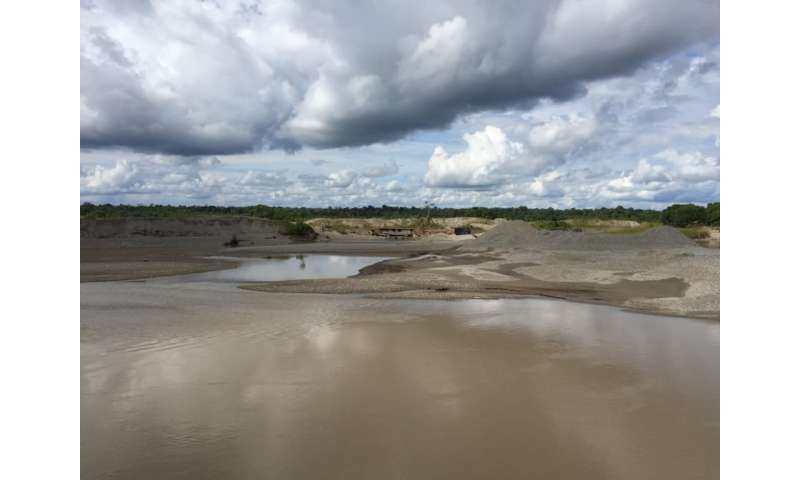 Dr. Richard Teeuw, of the University of Portsmouth, is one of five academics in the UK collaborating with Colombian NGOs and community leaders to work along Colombia's Rio Atrato to protect the rights of a river being devastated by illegal gold mining. The region that the Rio Atrato flows through, Chocó, is one of Colombia's most isolated and impoverished areas. Last year the global importance of the Rio Atrato was reaffirmed when the Constitutional Court of Colombia, in a landmark ruling, granted rights to the river. The court ruled that the Rio Atrato was subject to rights for its protection, conservation, maintenance and restoration. This ruling sets an important global precedent for how environments might be better managed and protected in the future. The Rio Atrato catchment is one of the world's most important biodiversity hotspots: extending from the Andes to the Caribbean Sea, it has abundant natural resources which attract a wide range of interest, including from those with illegal intent. These challenges are set in the broader context of the ongoing peace process in Colombia following a 52-year civil war. Funding from Economic and Social Research Council and Newton-Caldas Fund has been awarded to the Colombia River Stories project being led Dr. Mo Hume from the University of Glasgow. 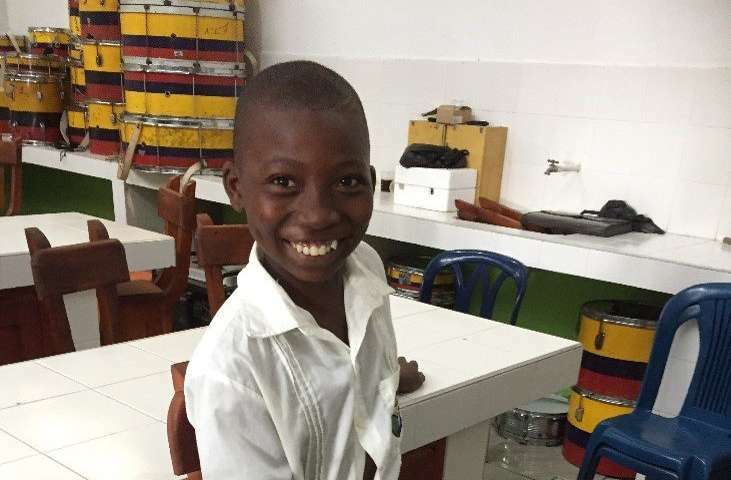 The UK/Colombian partnership project includes the universities of Glasgow, Portsmouth and Nottingham along with the Universidad Tecnológica del Chocó, Colombia, the Scottish Catholic International Aid Fund and advocacy group ABColombia. Dr. Teeuw said: "This is a pioneering multi-disciplinary project. 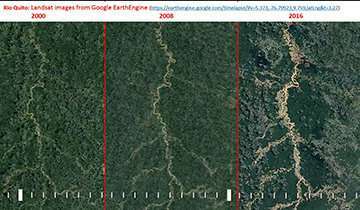 The University of Portsmouth is providing expertise in three sectors: Understanding processes involved in the mining of gold from river deposits, including the ensuing devastation of river systems; capabilities for using satellite remote sensing to map and monitor sites of illegal gold mining; and knowledge of risk reduction strategies that can improve the resilience of communities impacted by the illegal mining." Through the development of "River Stories', the project will generate robust scientific evidence and data for local communities. The process of developing stories will help different groups to better understand drivers of the mining destruction and identify sustainable, peaceful solutions to it. The partnership project will also help provide robust evidence to the indigenous people and Afro-Colombia descendants living along the Rio Atrato, enabling more effective enforcement of the river's rights. In 2016, the Colombian government and leaders of the Revolutionary Armed Forces of Colombia (known as FARC) signed a peace agreement, which halted 50 years of civil war in the country. 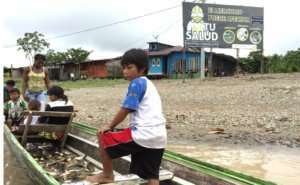 However, Chocó remains a stronghold for a range of paramilitary groups who are yet to sue for peace. This means that militias remain in control of the Rio Atrato's rich deposits of gold. With minimal state intervention, illegal mining of the gold-bearing river deposits has accelerated. Dr. Teeuw said: "For communities along the Rio Atrato, Colombia's fragile peace, and ongoing violence, makes it particularly challenging to protect the environment and sustainable livelihoods of those living in the area." The river's new rights, given by the Colombia's courts, say it must be protected and eventually rehabilitated. The project uses an innovative and multi-disciplinary methodology that brings social scientists and natural scientists together – recording human stories through community-level research and the river's story through field-based scientific monitoring, environmental reconstruction and mapping. The river stories that are produced by this project, and the policy briefs that they underpin, will assist dialogue between policy-makers and the communities of the Rio Atrato.